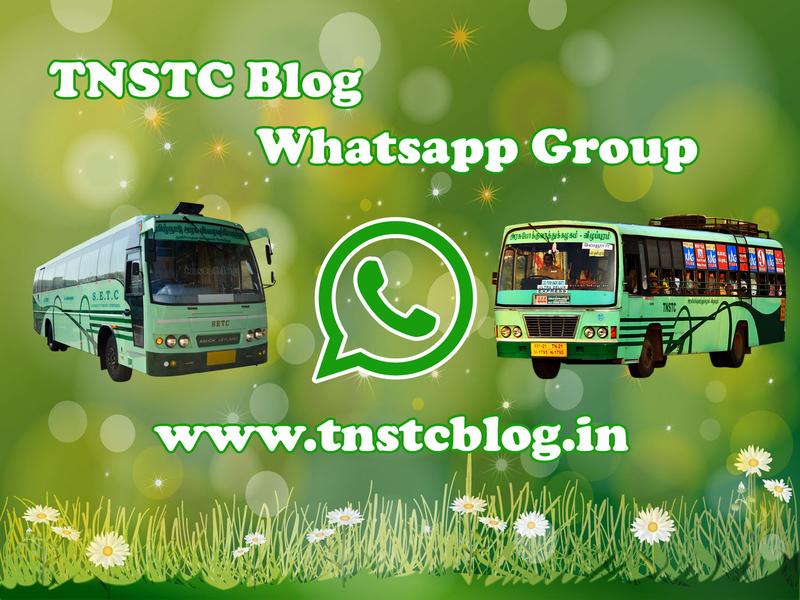 In an move to strengthen the bonding with our fellow TNSTC fans we are happy to present the new whatsapp group “TNSTC BLOG”. We cordially invite those who are passionate even a bit about our beloved Tamilnadu State undertaking corporations to participate in this group. 2. What can we do ? : There is a saying “All knowledge is connected to all other knowledge.The fun is in making the connections.” . Let’s make this as a juncture where we can exchange information on new buses , vintage buses , new services , prominent routes , unconventional routes , village life line routes , timings ,bus body ,seating comfort , photos,reviews and lot more along with your innovative thoughts,suggestions aimed for the betterment of the corporation and commuters. 3. What can be achieved ? : We can benefit commuters by spreading more awareness on the services and at the same time we also can be a trusted source for feedback to the management. 4. Will it work ? Being the proud owner of largest fleet in India, TNSTC have edged out other state transport units in aspects like low fares, extensive coverage area , round the clock city services ,efficient operations in clearing seasonal crowds and few more and at the same time there is a scope of lot more improvements in areas like luxury segment and induction of modern coaches. Well….the point here is we accept both the facts and open for constructive discussions. Interested fans can drop us a mail to tnstcblog@gmail.com along with a little introduction about yourself,your passion,location and Whatsapp number. If any toddler feels that TNSTC/SETC needs to be crushed just for the sake of absence of multiaxle coaches in it’s fleet then better do not board this bus ( group ) . This entry was posted by tn70b.